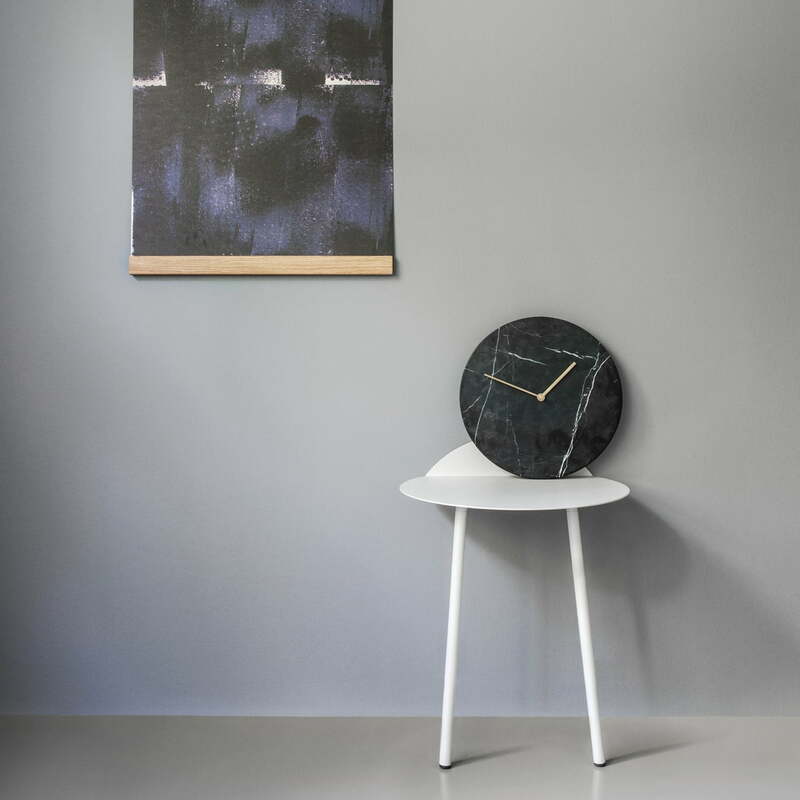 Time in a timeless garb: The Menu marble wall clock has clear lines, fine materials and no superfluous details. 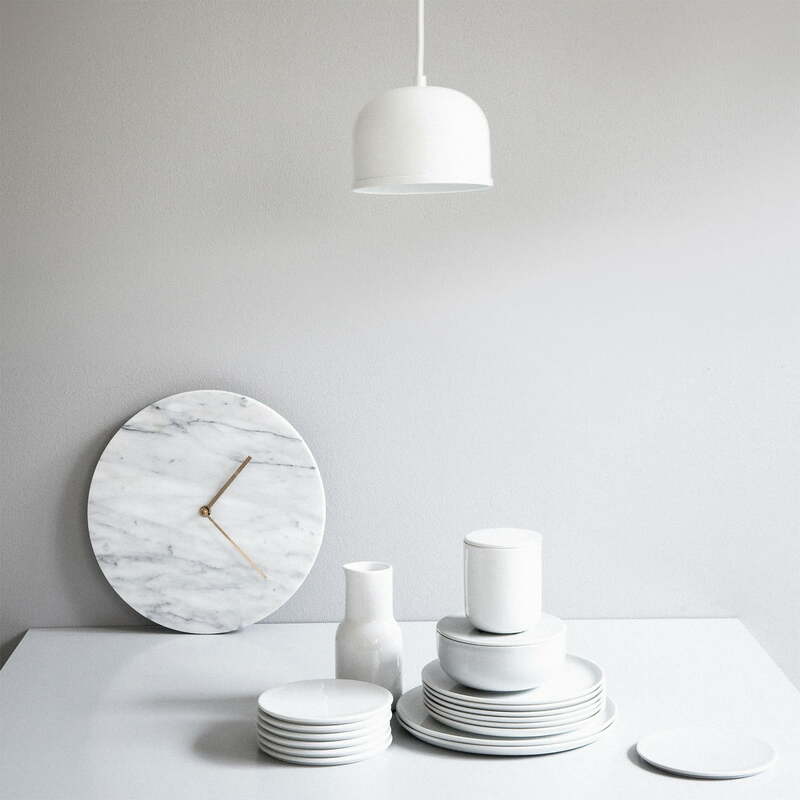 The dial made of marble appears as minimalist as possible on the Menu marble wall clock. The brass hands show the time without affecting the elegant appearance of the clock. The natural grain of marble makes the clocks unique: each piece is different. 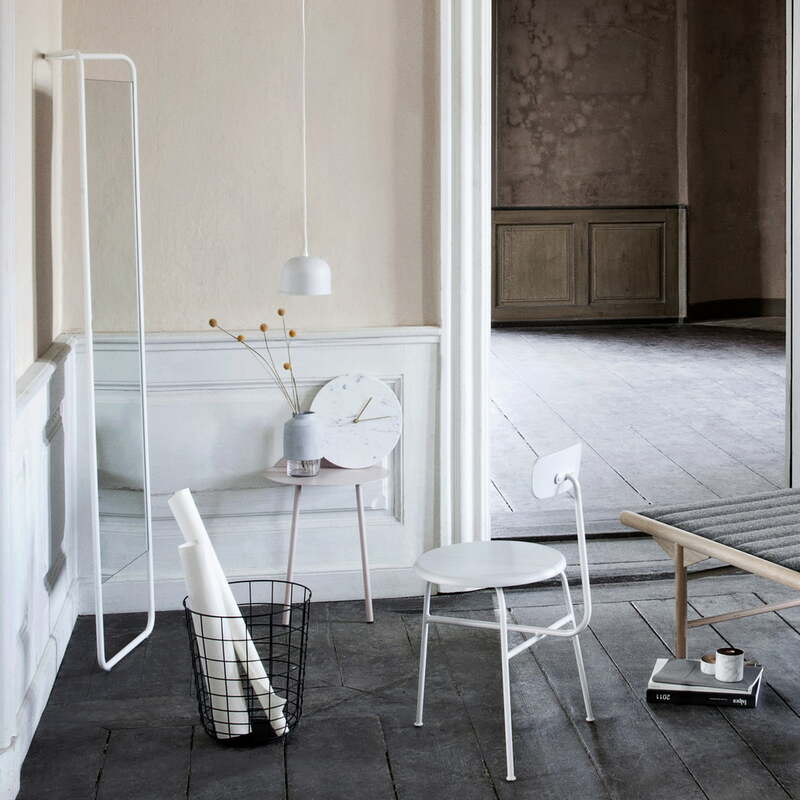 The fine, natural grain of marble is always there, but remains in the background due to the clear and quiet design by the design team Norm Architects. The white edition of the marble wall clock is made from the legendary Carrara marble, while the green one consists of green marble from Guatemala. 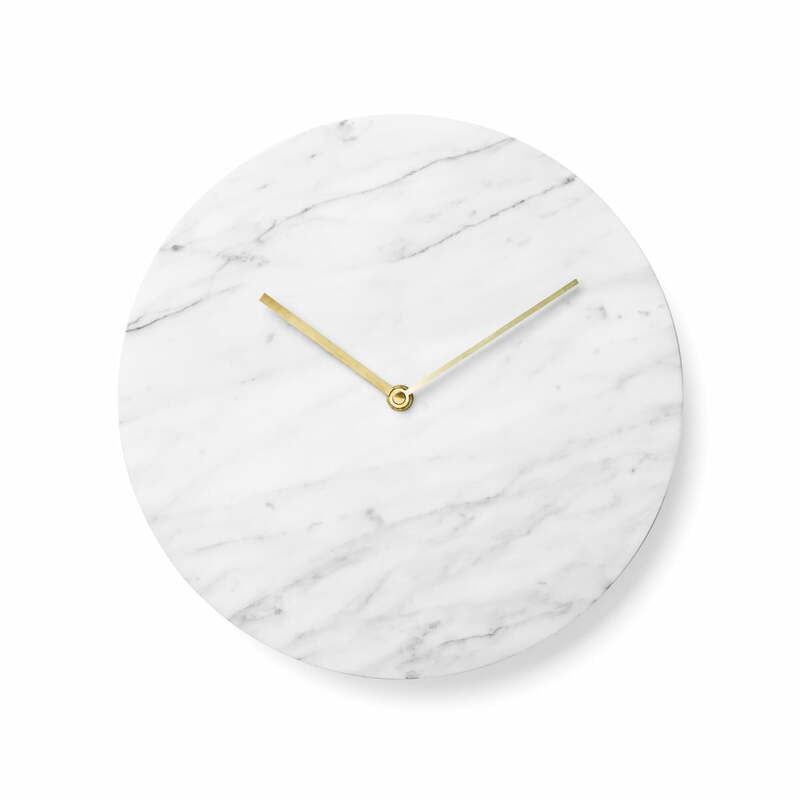 Individual image of the Marble Wall Clock in white with golden hands by Menu. The Wall clock is made of marble, has brass pointers and a diameter of 30cm. Single image of the Marble Wall Clock in black with golden hands by Menu. 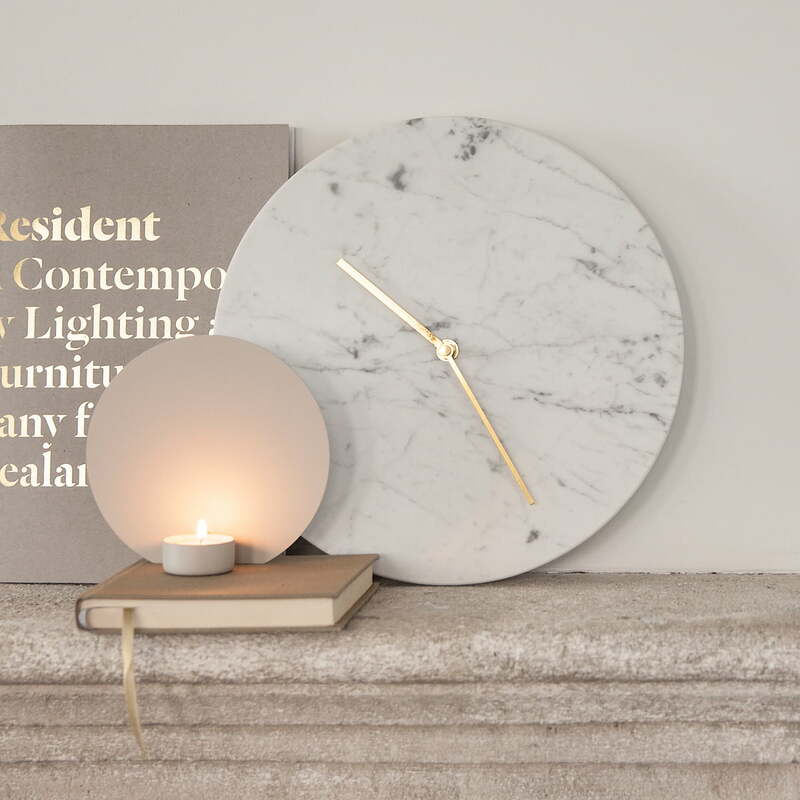 The Wall clock is made of marble, has a brass pointer and diameter of 30 cm. 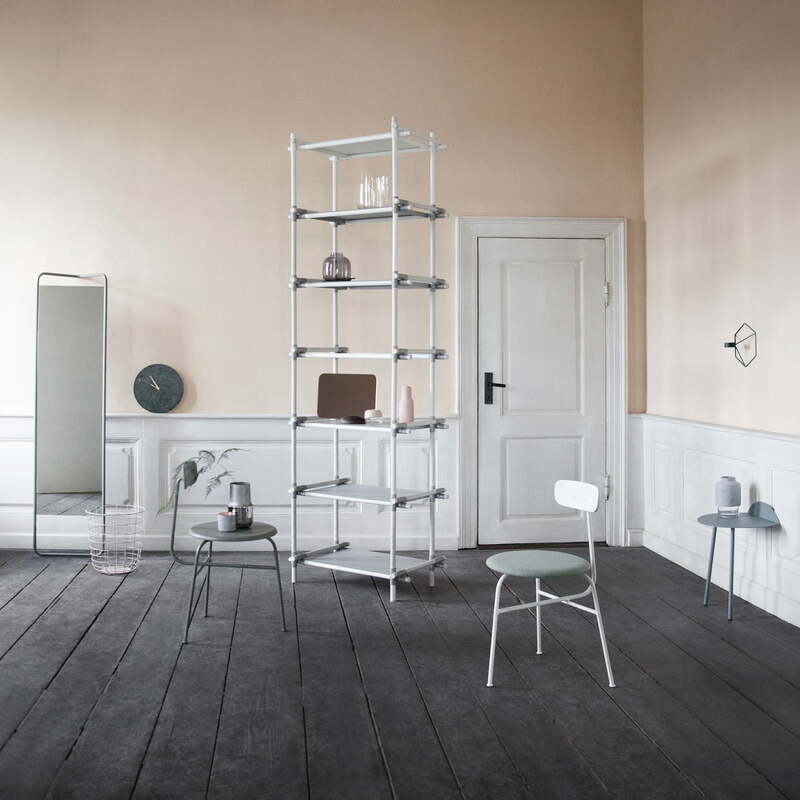 Yeh Wall table with Afteroom chairs, Kaschkasch mirror, stick system in white and green Marble Wall clock by the Danish manufacturer Menu on wooden floor.